On Steam, the Week Prior: Tanks and Megacities! Two’s company, three’s a crowd, right? That better be the case, seeing how only two new releases caught my eye last week on Steam! Either way though, some pretty darn groovy games, and one of them’s honestly a bit of a surprise release, while the other… takes us into the distant future! Intriguing. While most know Steve Jackson for the Fighting Fantasy gamebooks, he did delve in board games every so often, and this is an example of just that. An example which looks rather enticing in its recently released digital form, bringing the classic never-ending war to life… with online multiplayer! 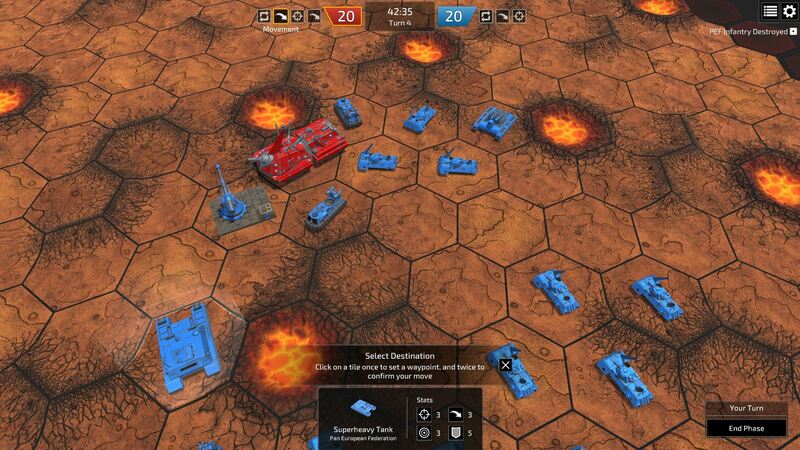 Time to wage war on hexagonal battlefields like it’s 1977 again. Carnage! Sweet, glorious carnage! Stuff blowing up left and right, bathed in colorful… carnage. Did I mention the chaos portrayed here, as you go on a rampage in a cybernetic killing machine (of sorts)? Yeah. Woo! Actually… wait, did I just read something about eradicating crime in a “never-sleeping megacity”? Alright. Sign me up!